NON Hepa version – HEPA filters available at extra cost. 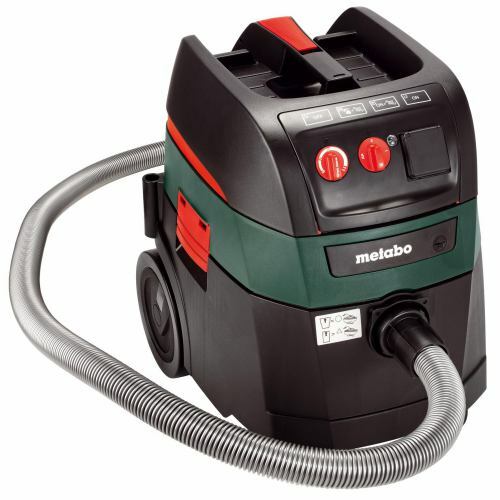 The Metabo ASR35 ACP Auto Clean Vacuum Cleaner is an all-purpose vacuum that features a powerful 10.2 amp, 1,400 watt motor that delivers 248 mBar of vacuum pressure. It includes an auto clean filter technology and an integrated power inlet with automatic start and current control. This ASR35 was designed for continuous use in the toughest workshop or construction applications.